SET IN THE ANCIENT WORLD Some titles may be out of stock or offered used only. Be sure to check availability and platform compatibility. GOD OF WAR III Epic conclusion to the trilogy, as Kratos takes his quest for vengeance to the stronghold of Zeus. For PlayStation 3. Also available: Limited Edition Strategy Guide. GOD OF WAR COLLECTION I + II remastered in high def. Also: God of War Collection Official Strategy Guide. GOD OF WAR: CHAINS OF OLYMPUS Before the events of God of War, Kratos spent ten years of servitude to the Gods of Olympus. For Sony PSP. Also: Official Strategy Guide. GOD OF WAR 2 The dark and violent world of Greek mythology comes to life in gory detail. For PlayStation2. GOD OF WAR “A tale of mythic proportions ... gorgeous graphics!” (NY Times) For PlayStation 2. Also: God of War Prima Official Game Guide. Read the novel and the graphic novel. IMPERIUM ROMANUM “Build, Reign, Defend!” Construct bridges, forts, walls, towers and gates; defeat crime, natural disasters, and siege machine. For Windows. Gold Edition available for digital download. EUROPA UNIVERSALIS: ROME GOLD Includes the expansion Vae Victus. For Windows Vista, XP. EUROPA UNIVERSALIS: ROME Experience Rome before the Empire, as a young Republic, with powerful neighbors and an uncertain future. For Windows XP, Vista. 7 WONDERS OF THE ANCIENT WORLD Visit them all, from the Colossus of Rhodes to the Hanging Gardens of Babylon. For Windows XP. 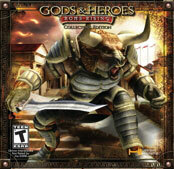 GODS & HEROES: Rome Rising The 2007 release was cancelled; will we finally see it in 2008? Check at Amazon. For Windows XP. CIV CITY: ROME City-building game lets you look inside the buildings and follow the intimate lives of your citizens. For Windows XP CAESAR IV Wage war, expand the empire, and manage the economy of Ancient Rome at the height of its glory. For Windows XP. Also available: the Prima Official Game Guide paperback. GLORY OF THE ROMAN EMPIRE Rebuild the glories of Rome, or create your own magnificent Roman cities populated by busy citizens. For Windows ME / XP / 98 / 2000. CIRCUS MAXIMUS: Chariot Wars Brutal mix of racing and combat at the height of Imperial Rome, from barbarian frontiers to the Circus Maximus in the heart of Rome. For Xbox. BATTLE FOR TROY Mastermind the most legendary siege of all time, as the Greeks battle the Trojans. For Windows XP. TITAN QUEST Dazzling visuals and fast-action gameplay set in the mythical worlds of ancient Greece and Egypt. For Windows XP. AGAINST ROME Lead the Teutons, Huns and Celts in 24 campaign missions against the Romans in five different regions. For Windows NT / 2000. COLOSSEUM: Road to Freedom Rome, 190 A.D.: Taken into slavery, you must earn your freedom through battle. Fight man or beast; bask in glory or bathe in blood! For PlayStation 2. SPARTAN Turn-based strategy game with empire building, cities, and 3-D graphics. For Windows NT / 2000. PS2 SPARTAN: TOTAL WARRIOR As the lone warrior called The Spartan, lead epic battle and seek the favors of the gods. For PlayStation 2. ROME: TOTAL WAR  BARBARIAN INVASION Expansion pack to Rome: Total War  defend the empire from invading hordes! For Windows 98 / Me / 2000 / XP  On CD-ROM for PC ROME: TOTAL WAR Fight as, or against, generals including Julius Caesar, Hannibal, and the rebel gladiator Spartacus. For Windows Me. Get the Rome Total Realism mod here. ALEXANDER Could you have conquered the world as Alexander? Or could you have stopped him? For Windows XP / 2000 / NT. IMMORTAL CITIES: CHILDREN OF THE NILE Build your own civilization in ancient Egypt. For Windows XP. NEMESIS OF THE ROMAN EMPIRE Players revisit the three Punic Wars between Carthage and Rome. Will Hannibal finally triumph? For Windows 98 / Me / XP. SHADOW OF ROME Part fighting, part sleuthing, as you investigate the death of Julius Ceasar. Excellent graphics & battle action. For PlayStation 2. Also: Shadow of Rome Official Strategy Guide in paperback. EMPIRE EARTH Conquer the world  then try to keep it! For Windows 95 / 98 / Me. EMPIRE EARTH GOLD EDITION by Sierra. Military strategy game on a grand scale. For Windows 98 / Me / 2000. EMPIRE EARTH EXPANSION: THE ART OF CONQUEST Add-on to Empire Earth ranges from the Roman Empire to outer space. For Windows 95 / 98 / Me. PAX ROMANA From the makers of Europa Universalis, a real-time strategy game of the Roman Republic from 275 to 43 BC. For Windows 98 / Me / XP / 2000. GLADIATOR: SWORD OF VENGEANCE All Rome becomes a stage for brutal gladiatorial combats. For PlayStation 2, Windows, or Xbox. GLADIUS Enter an epic saga by Lucasarts. For PlayStation 2, Xbox, or Gamecube. 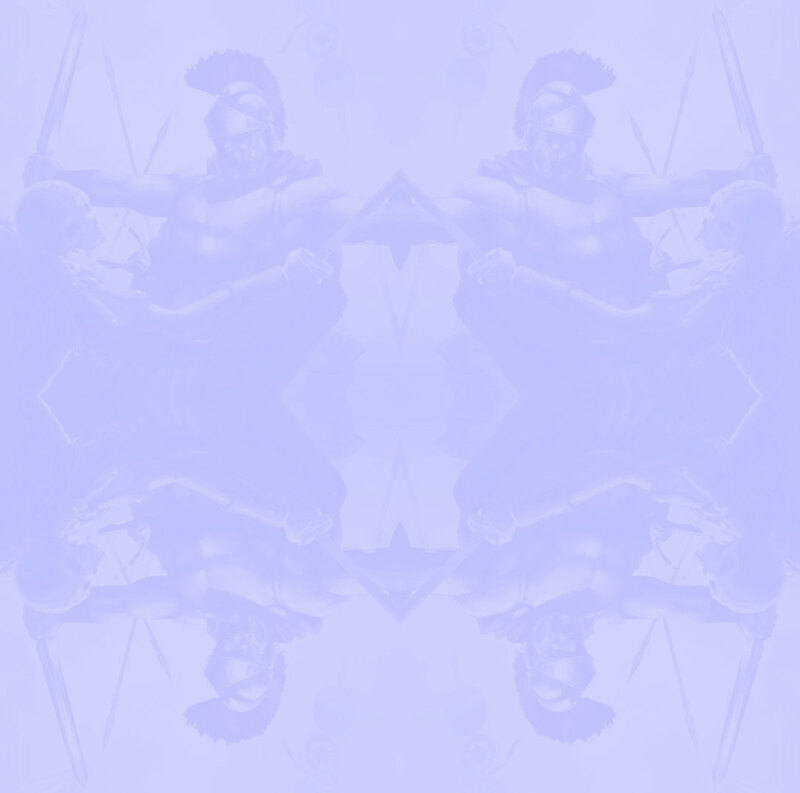 GLADIATORS OF ROME by Activision. Intense real-time strategy combat. For Windows 98 / Me / 2000 / XP. PRAETORIANS Romans battle Gauls, Egyptians and Nubians across the ancient world. For Windows 95 / 98 / Me / XP. ACROPOLIS Build and rule ancient Greece. For Windows 95 / 98 / Me. LEGION; CHARIOTS OF WAR The makers of Legion wreak more havoc. For Windows 98 / Me / XP / 2000. ODYSSEY Enter the world of Homer and join the search for Ulysses. For Windows 95 / 98 / Me. ODYSSEY (JEWEL CASE) Ulysses awaits  and so do a host of monsters. For Windows 95 / 98. THE GREAT EMPIRES COLLECTION Includes Pharaoh and the extensions Cleopatra and Caesar III. For Windows 95 / 98 / Me GREAT EMPIRES COLLECTION II Five games include Pharaoh and the extensions Cleopatra, Caesar III and Acropolis. For Windows 98 / Me / 2000 / XP. PHAROAH Build a kingdom. Rule the Nile. Live forever. For Windows 95 / 98 / NT / 2000 / Me. Also: Pharaoh Jewel Case. CLEOPATRA Extension to Pharoah. Beware the tomb-raiders!For Windows 95 / 98 / Me. LEGION Let the battles begin! For Windows 95 / 98 / Me or Mac OS. LEGION GOLD Let the battles continue! For Windows 98 / Me / XP. ZEUS: MASTER OF OLYMPUS Enter a world of gods and monsters. For Windows 95 / 98 / Me. Also: Zeus: Master of Olympus (Jewel Case). ZEUS EXPANSION: POSEIDON Discover new gods and new adventures. For Windows 95 / 98 / 2000. AGE OF EMPIRES Command mighty civilizations, including the Egyptians, Greeks, Persians, Assyrians, and Babylonians. For Windows 95 / 98 / NT / 2000 / Me or Mac OS. AGE OF MYTHOLOGY Cosmos-building on a divine scale. For Windows 98 / Me / 2000 / XP or Mac OS. Also: Titans Expansion Pack and Special Edition. AGE OF EMPIRES: GOLD EDITION Includes the original Age of Empires plus The Rise of Rome Extension. For Windows 95 / 98 / NT / 2000 / Me. ROME: CAESARS WILL How would you have fared in Caesars boots? For Windows 98 / NT / 2000 / Me. CAESAR III Create your own roman city  but watch out for the barbarian hordes! For Windows 95 / 98.